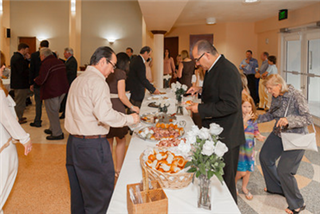 The Hospitality Committee plans (and at times cooks for) special receptions for Parish-wide events, including Parish School Sunday, the Annual Meeting, the Bishop’s annual visit, Easter Sunday, and Summer Socials. 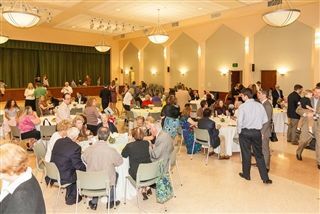 Each Sunday St. Thomas provides coffee and an opportunity for fellowship in Rantz Hall following the worship services. We need Parishioners to volunteer their time and skills to provide refreshments. Look for the sign-up sheets in Rantz Hall every Sunday throughout the year. Small group dinners held three times a year at participant’s homes. Child-friendly groups are available. Sign-up sheets will be available in advance of the dinners, and online sign-up is also available. Our annual Fishing Tournament is short on rules and long on fun, with lots of prize categories. For those who don’t wish to fish, the pool at Coral Reef Yacht Club is open all afternoon and there’s lots of kids’ entertainment and refreshments. The evening wraps up with a fish dinner and awards ceremony. 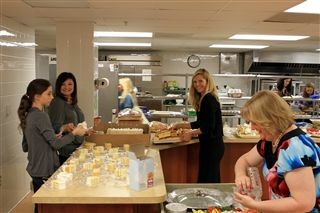 The First Impressions Team consists of volunteer parishioners whose mission it is to make our first-time guests feel welcomed and loved. When guests feel valued, they will return to St. Thomas, and hear the good news of Jesus again. The First Impressions Team has opportunities for Ushers, Welcome Center staff, and a Parking Lot team. The time commitment is minimal, but facilitates a lifetime of Jesus’ love for our guests. Each October, we celebrate our founding as a parish with a weekend of special events. The weekend kicks off on Friday night with the Welcome Back Bash, an evening of dinner and dancing. On Saturday, groups of 8 to 10 parishioners gather in homes for Small Group Dinners. Sunday morning brings church and school together as one worshiping community at the Parish School Sunday 10:00 a.m. service. Check our calendar for the most up-to-date information on meeting times and spaces.